LOSING a child is every parent’s worst nightmare and Southern Downs and Granite Belt residents are being urged to help end that suffering for one distraught parent. Six-year-old Jack Donaldson is alleged to have been abducted by his non-custodial mother Joanne Cecilia Flood after the Family Court had ordered she take Jack to Brisbane so he could live with his father. There have been reported sightings of Flood in Warwick – where she has family and friend connections – however, there have been no reports of anyone having contact with her for several weeks. The actions of Flood have been described as “uncharacteristic”. 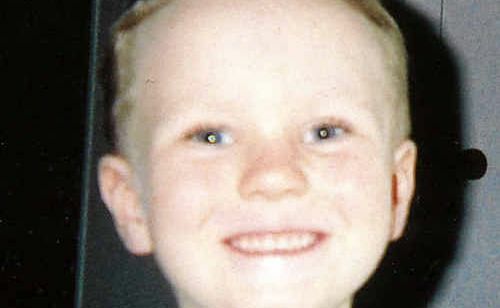 Jack’s father David Donaldson said not knowing whether his little boy was safe and being unable to look after him was the worst time of his life. “I won’t stop searching for Jack. I believe it is what he would want me to do,” Mr Donaldson said. It is believed Flood may have planned to move to Warwick with her son before the court order was issued and spoke to several real estate agents late last year about housing options. Jack and his mother were last seen in Warwick on January 22 this year and are believed to be travelling between Toowoomba, Warwick and Killarney as well as the northern New South Wales towns of Lismore and Kyogle. Flood is believed to be driving a utility which was purchased from a Warwick car-yard and has been described as a white 2004 Ford Courier GL cab chassis tray back with registration number 050 RFZ. Flood may also use the surname Donaldson and is described as being 50 years old, with brown shoulder-length hair, hazel eyes, medium build, weighing 60kg and 167cm tall. Jack is almost seven years old, 150cm tall, 28 to 30kg, with a fair complexion and short light brown hair. An Airport Watch List alert has been placed at all Australian international airports and ports in case an attempt is made to depart for overseas. The Australian Federal Police, the State Police and the Marshall of the Family Court have been requested to make every effort to locate and recover Jack. Investigator Peter Speir is in Warwick as part of the search for Jack and has been involved in the recovery of six children in Australia and overseas in the last two years. He said it was likely Jack would be confused and stressed. Members of the public are asked to contact the Australian Federal Police on 02 6126 7777, Warwick Police on 4660 4444 or the Daily News on 4660 1315 if they have any information.